It’s almost time for the GAL, folks, the big make-lots-of-presents-for-loved-ones promotion on Ravelry, and once again, I am taking part. Right now, through 11/30, each designer that’s participating is offering 25% off of a select group of their patterns, and we are all using the same coupon code: giftalong2018. 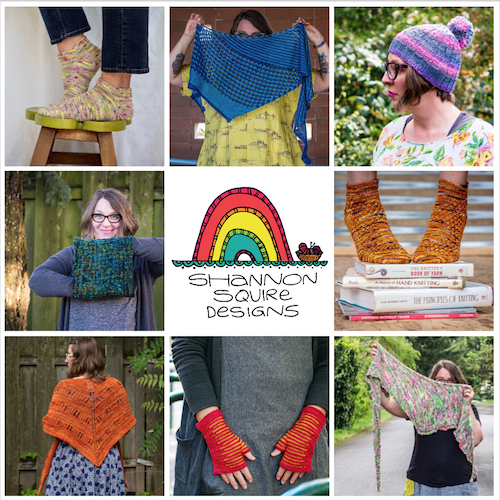 I’m featuring 20 of my favorite quick-to-knit-and-therefore-to-gift patterns, and the link to my pattern bundle is here. Here’s a link to the Ravelry forum that’s aaaaalllll about the GAL, if you’d like to get into it and figure out what, exactly, it’s all about. I’m hoping to take part as a maker this year, as well as a designer, and will be looking for a few patterns to purchase and make for my fam-dangly. How about you? Do you take part in the GAL?